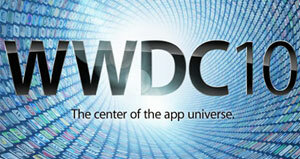 What Was Missing From The WWDC Keynote? The blogosphere is basking in that post-iPhone 4 announcement after-glow. All of the excitement has happened, now we just sit back and wait for the pre-orders to begin next week for the new version of the Apple phone, but some of us are left wanting: Where was all the other rumored announcements? In the days leading up to any big Apple event, there are always more rumors than what will come true, but this time things seem to have been way off the mark. The iPhone 4 was pretty much a given, and even more of the details, but why was there absolutely nothing else discussed? Did Mr. Jobs not want to steal any limelight from his precious phone? Does he want those items to shine on their own? Or has the Apple rumor mill just finally become totally useless? Some of the most probable rumors had been around the idea that the Apple TV was going to be switching to the newly renamed iOS, and with the focus of this conference so clearly on apps, it would have made sense for this to be announced today. Yet, here we are with no new update to the device. Perhaps it is coming later? Maybe, but today really would seem to have been the optimal time to launch it. The Mac Mini was also rumored for an update today due to dwindling stocks of the older models being confirmed by multiple sources. This one didn’t make a ton of sense since this is a developers conference, but it still seemed to have somewhat of a shot, but yet … nothing. Even as late as this morning rumors were breaking of a new item: an add-on trackpad for Macs. There were pictures, details and all sorts of information, but yet it was nowhere in the keynote speech by Steve Jobs. A lot of these rumors are excusable because they weren’t directly related to the iPhone, but what about the MobileMe rumors of it going free? There seemed to be some pretty convincing evidence that this was happening, and it directly related to the iOS and iPhone, so if it was real, why didn’t it happen? It is the MobileMe rumor that really makes me think the rumor mill is broken. There are so many blogs desperate to be right on top of everything said about Apple that they will jump on every rumor. Even though they all say they verify them, you have to wonder how good their sources really are. It has gotten to a point where you have to take every Apple rumor with not just a grain of salt, but an entire 5 lbs bag. It’s a sad thing as it would be nice to be able to believe them, but seeing how wrong things were today, it’s going to be even harder to believe them from now on.